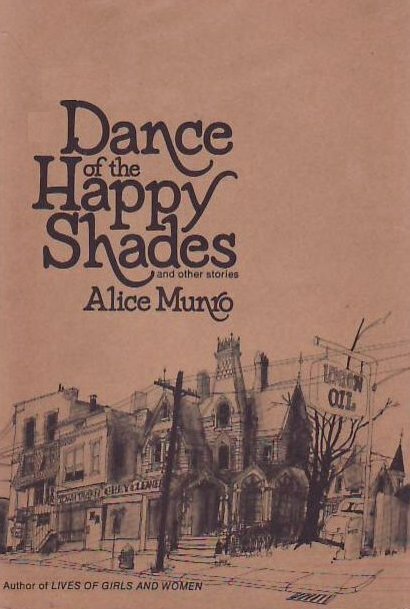 When it was announced this week that short-story specialist Alice Munro had won the Nobel Prize for literature, Canadians from coast to coast shook their heads in wonder and smiled inwardly with deep satisfaction. 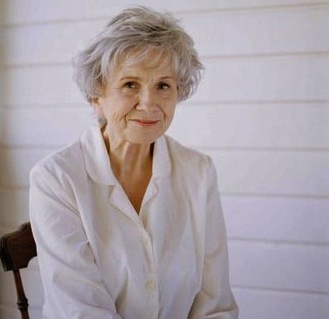 Canada has produced many great writers, but no other writer has such unequivocal support or is more admired than Alice Munro. She writes with modesty, with precision, with insight into human character and has the skill to evoke a powerful range of feelings with subtlety and nuance. She is truly Canada’s Chekhov. But how exactly does Munro achieve this? I approach this question by looking at two stories about neighbors, “The Shining Houses” (from Dance of the Happy Shades, 1968) and “Fits” (from The Progress of Love, 1985). One is the story of the cruelty of supposedly good people; the other traces a town’s reaction to the murder/ suicide of an elderly couple. Both stories have an outward action and an inward action. Events trigger reactions and it is the contemplation of these reactions that awaken a new sense of understanding in the central characters. When the narrator refuses to go along, she realizes, as an individual acting in opposition to the group, she opens herself up to a similar kind of targeting. So why does she take the oppositional stance that she does? She is powerless to help the old lady who will be evicted. She has no influence within the group. Still there is a sense that by voicing her opposition, she has performed a small act of courage and held true to her own conscience. She may pay a price for this in the future. In fact that price has already begun as the narrator starts to separate herself from the others in her mind. Tiring of these passionate but difficult entanglements, the man marries a practical woman who shares his desire for a home and family. Unfortunately, his wife lacks imagination, as well as the ability to share her deepest feelings with others. This failing becomes glaringly clear after the wife discovers the bodies of the murdered couple. The wife informs the police but neglects to tell a single member of her own family of her horrific discovery, nor does she confide to them any sense of her reaction to this shattering event. The husband contrasts his wife’s non-reaction to the crime to the over-reaction of the town’s people who can’t stop talking about the murdered couple and the possible motives for why it happened. The husband is aware of his own over-active imagination. It’s a flaw, but at least it is one he’s able to share, along with his struggle to manage it in appropriate ways. After a long winter walk, he decides to return to his wife, though he remains troubled by her cool demeaner. The story ends with new information, information unknown to the husband. This information suggests the wife was indeed affected by the scene she witnessed. She was so affected that she lied about certain details in order to cover-up what she went through. The husband doubts his wife, but his understanding of her is incomplete and imperfect. This is where the story ends, with doubts, lies, and an imperfect understanding of the other. It is not the murder that is strange in this story; it is the way the murder leads to a maze of unexpected connections and misconnections, misgivings and unresolved needs, among the seemingly unimportant characters. 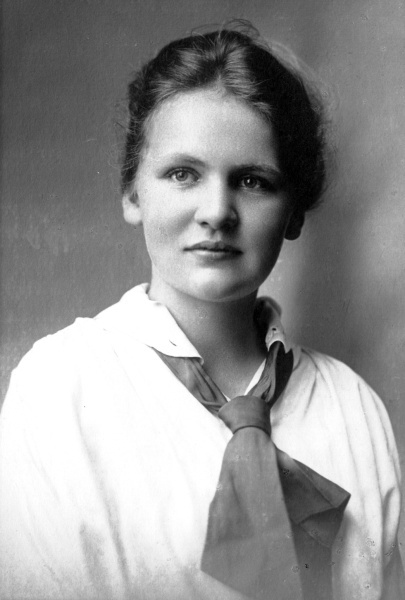 Alice Munro as a young woman. I’m tempted to link Munro to the movement of Magical Realism often associated with Gabriel García Márquez, Isabel Allende, Salmon Rushdie, and other writers who mix fantastic elements into otherwise closely observed and detailed stories. While Munro’s prose is not as saturated and flowery as these more ‘tropical’ writers—she has that Northern coolness of temperament—two key features of Magical Realism abound in her work: the multi-layered stories-within-a-story and the presence of ghosts. By ghosts I mean the sudden (often inconvenient) eruption of the past into the present and the feeling of characters being haunted by a force not known or knowable by others. In the stories I’ve cited, the evicted woman in “The Shining Houses” serves as a kind of ghost and she affects the narrator in ways that her other neighbors will never understand. The evicted woman is the only character with a back-story, which tells of a ghost-like husband who abandoned her. 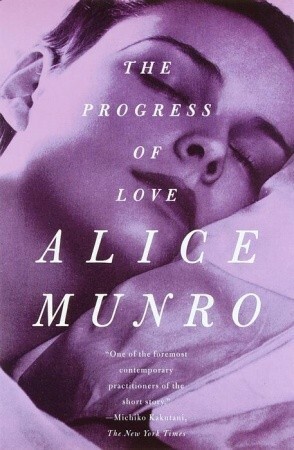 Munro has her narrator uncover this fact: “She did not talk to many old people any more. Most of the people she knew had lives like her own, in which things were not sorted out yet, and it is not certain if this thing, or that, should be taken seriously. Mrs. Fullerton had no questions of this kind. How was it possible, for instance, not to take seriously the broad back of Mr. Fullerton, disappearing down the road on a summer day, not to return? ‘I didn’t know that,’ said Mary. ‘I always thought Mr. Fullerton was dead.” “He’s no more dead than I am,’ said Mrs. Fullerton, sitting up straight … ‘he’s just gone off on his travels, that’s what he is. '” The old woman refuses to move from her rundown house because otherwise how will the ghostly husband ever find her? The eviction, which she does not know is in the works, will cause a metaphysical rupture from which it is unlikely she will recover. This is the purpose of the ghost. “Fits” draws its title from a theory advanced by the character Robert: people behave like landscapes that are prone to periodic earthquakes, eruptions, and other fits, the causes of which are largely hidden and invisible. The ghost in this story is also a husband who has deserted his wife and disappeared in search of a place that is equal to his imagination. The ghostly husband represents the need for imaginative or psychic connection with another person. Without this, one encounters the ghost state of metaphysical rupture. Robert has taken the ghostly husband’s place and sees a similar dilemma opening up before him. “A man doesn’t just drive farther and farther away in his trucks until he disappears from his wife’s view. Not even if he has always dreamed of the Arctic. Things happen before he goes. Marriage knots aren’t going to slip apart painlessly, with the pull of distance. There’s got to be some wrenching and slashing.” Fits of strangeness reveal the truth that any life contains its fair share of secrets and scars that can never be entirely erased, as well as images and emotions that cannot be communicated adequately from one person to another. This entry was posted in Literature and tagged Alice Munro, magic realism by dougcube. Bookmark the permalink.